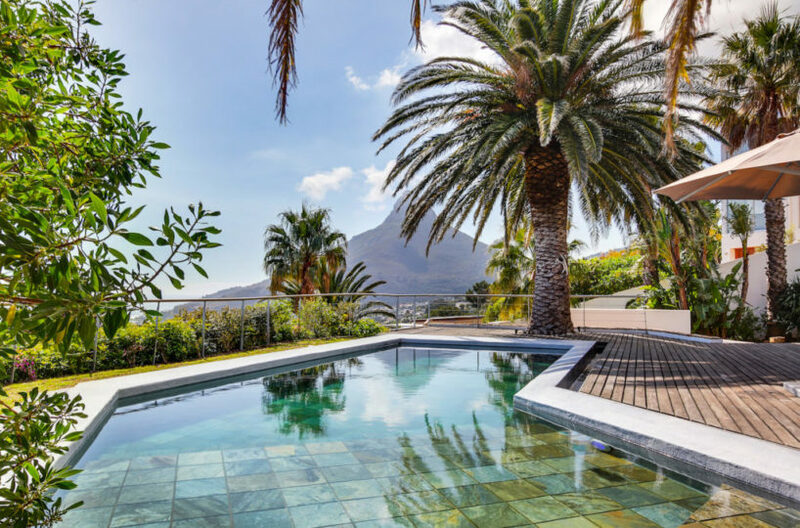 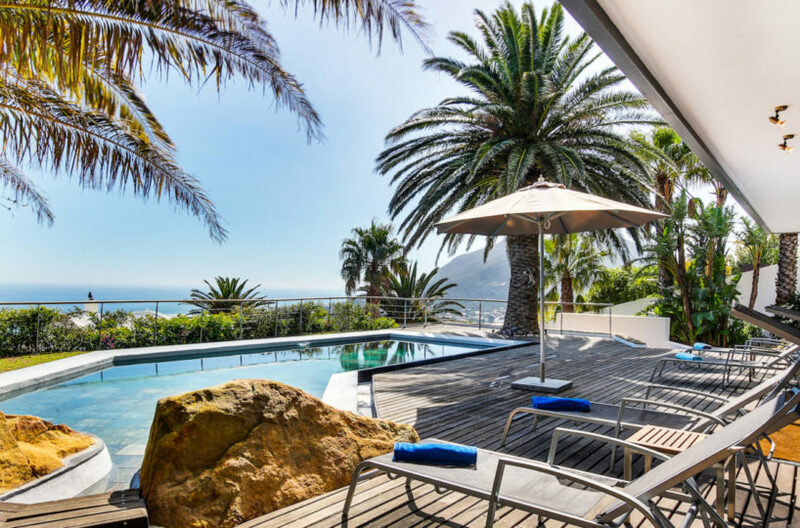 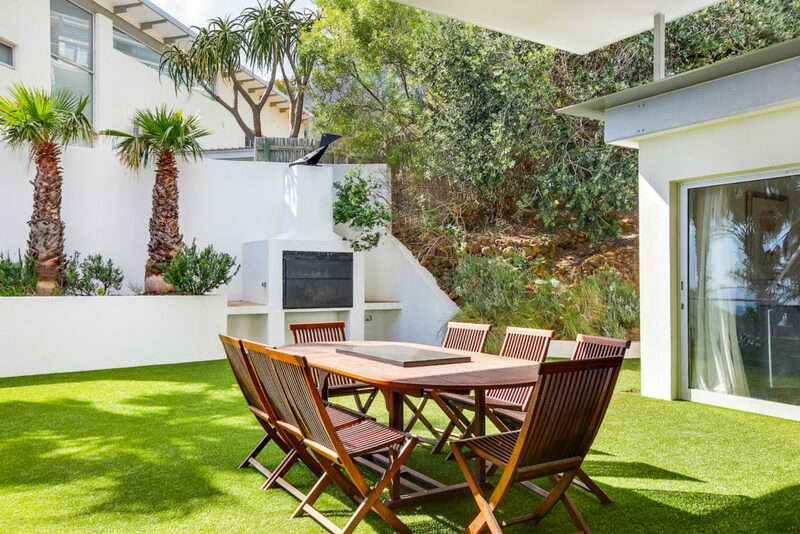 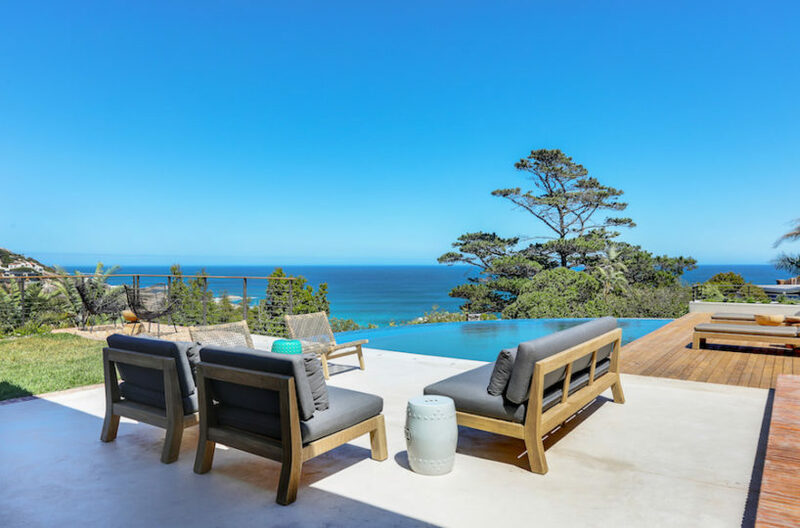 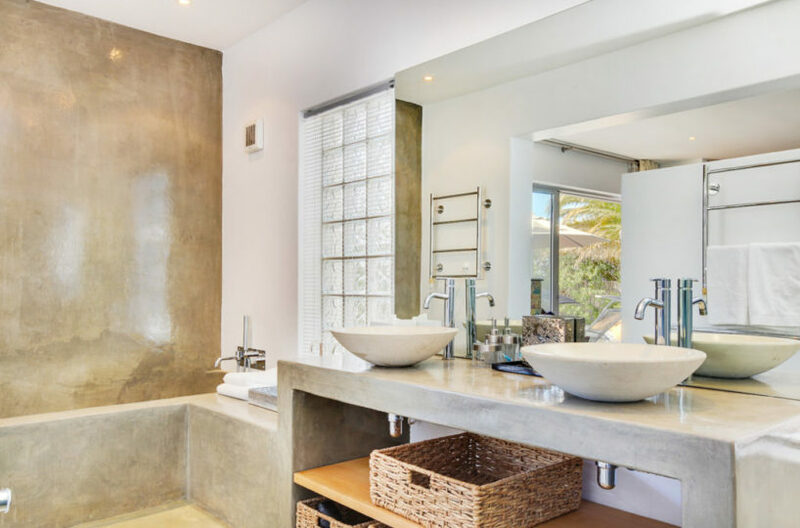 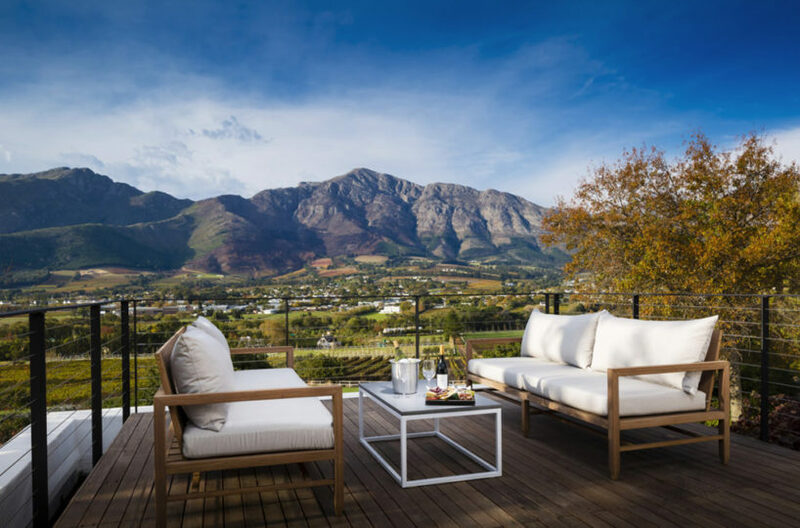 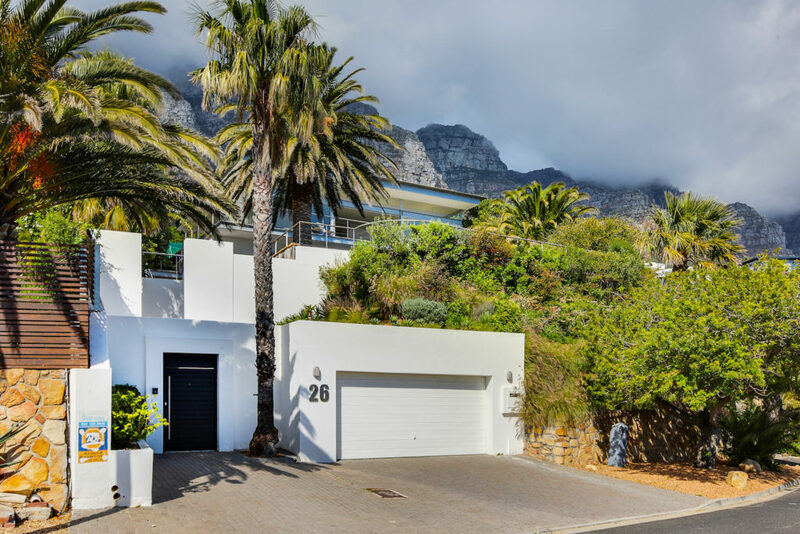 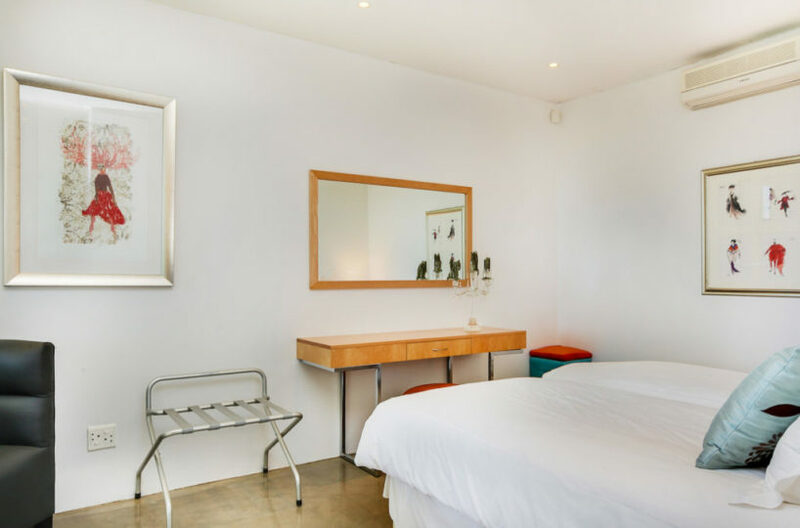 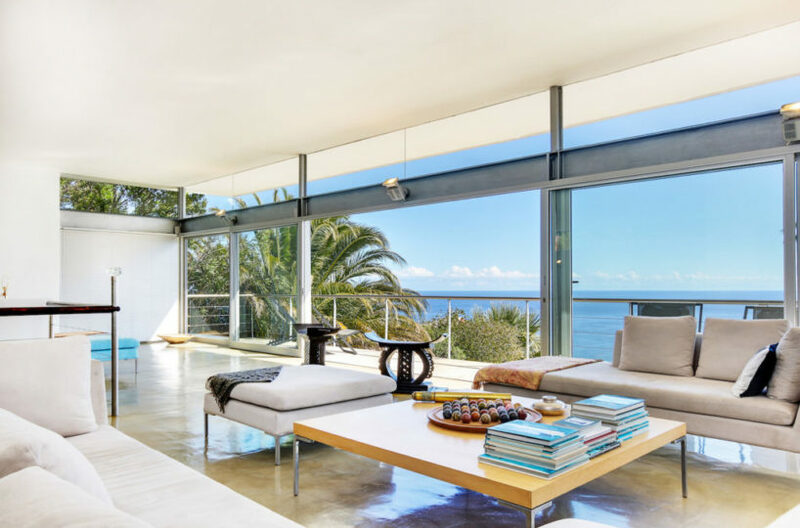 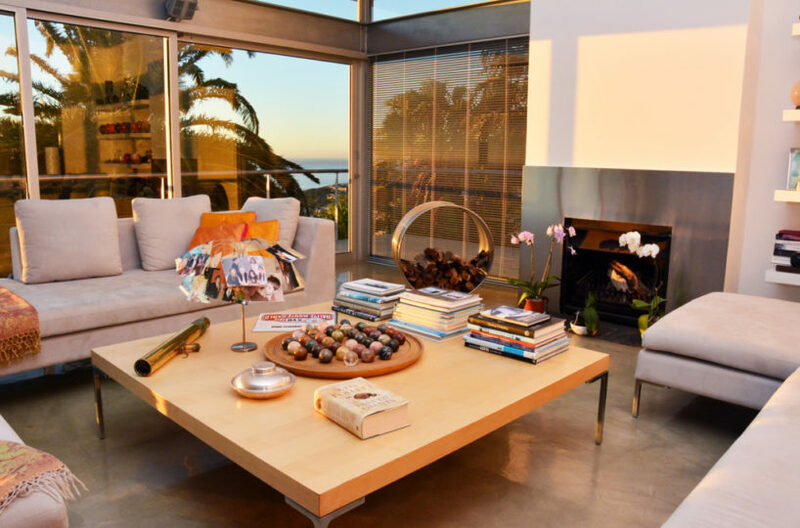 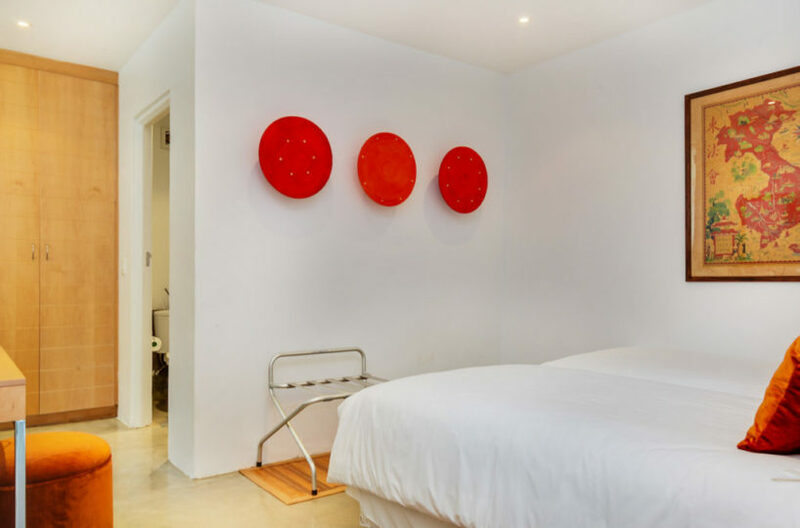 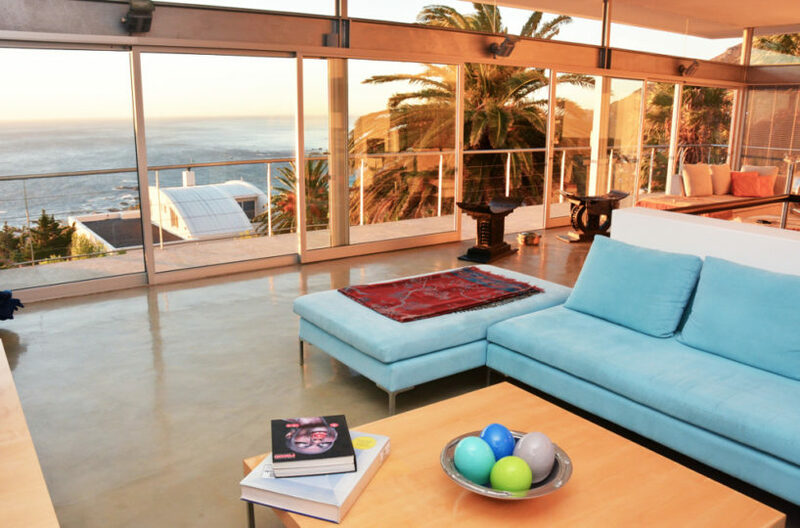 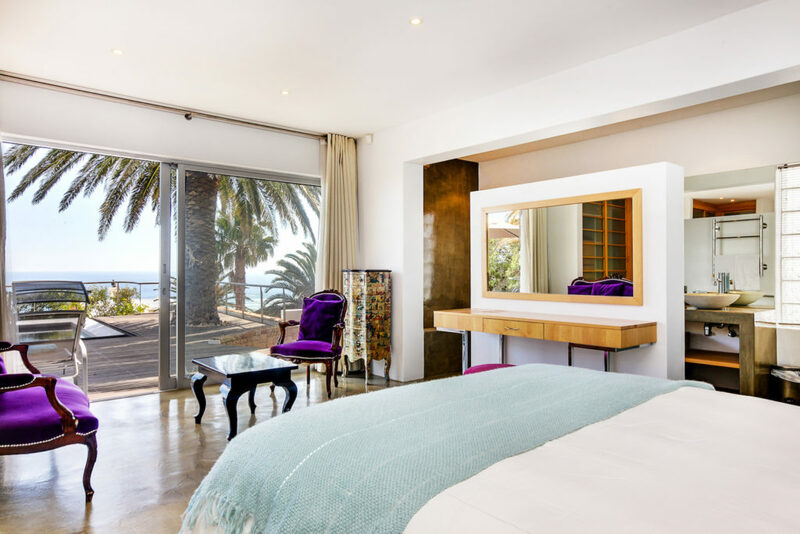 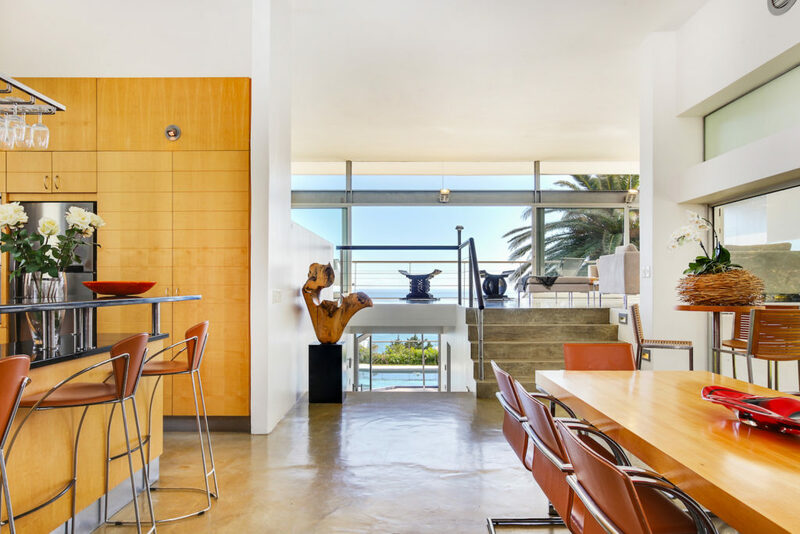 This state-of-the-art exclusive Camps Bay villa is nestled high up against the majestic Twelve Apostles, which forms part of Cape Town’s Peninsula mountain range. 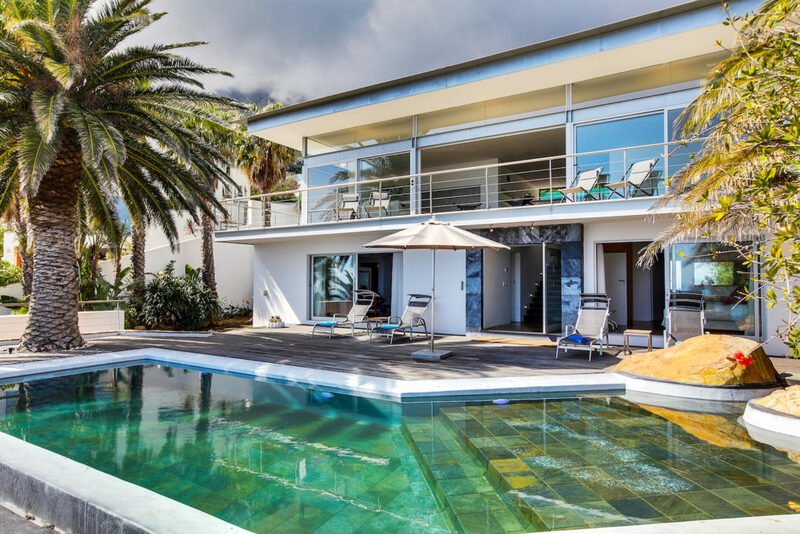 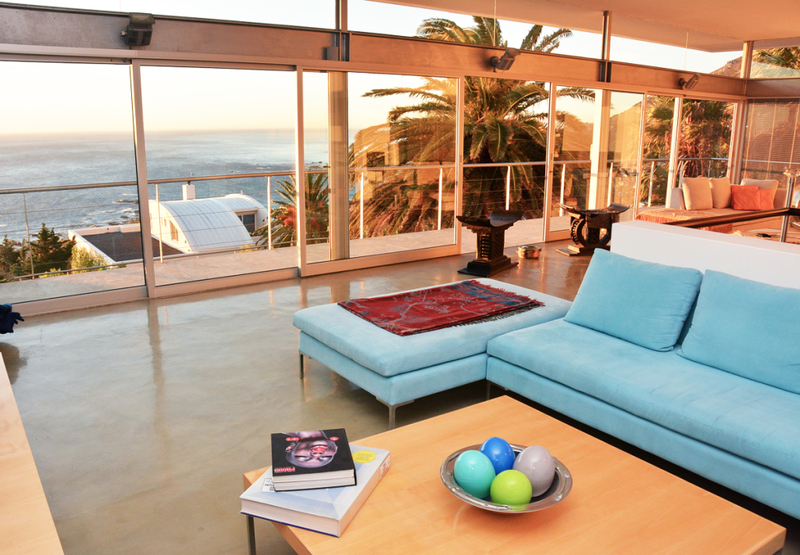 Cape Crystal Waters overlooks cosmopolitan Camps Bay which is vibrant with trendy locals and visitors all year round. 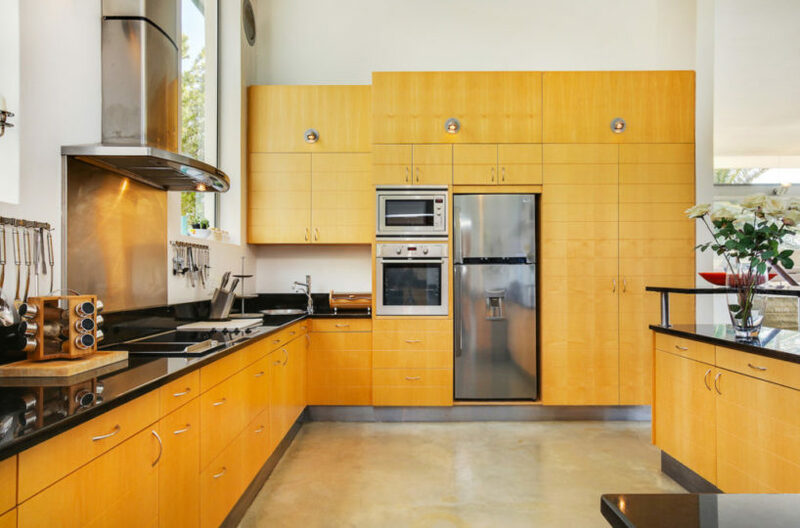 The villa is modern with crisp, clean lines and quality finishes throughout. 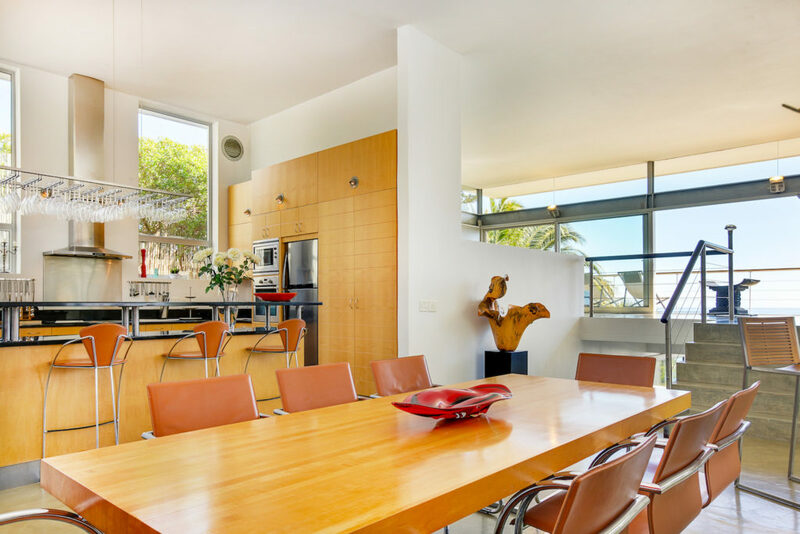 It consists of three levels – two bedrooms on the lower, two on the middle – behind the cavernous kitchen and dining area – and the lounge and home theatre on the third. 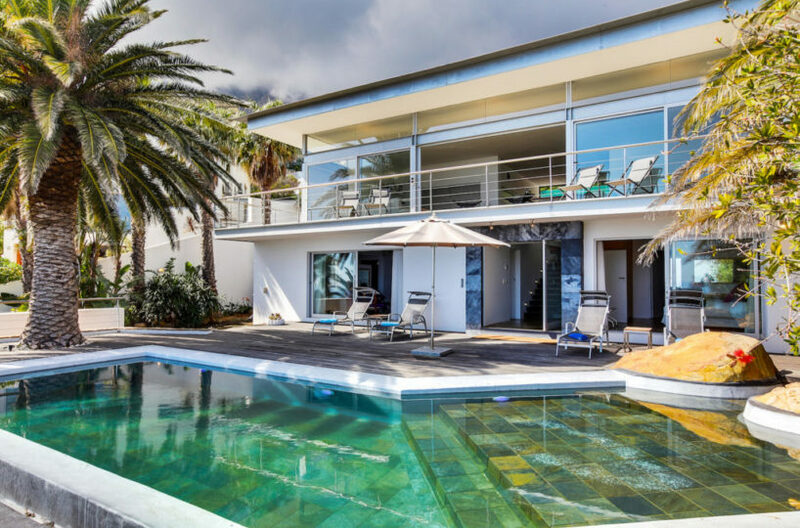 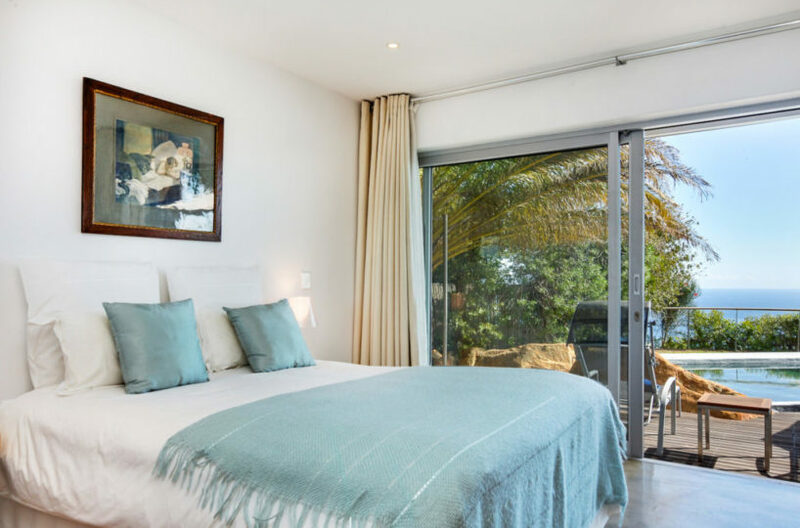 Guests can enjoy breath-taking views and amazing sunsets over pristine white beaches and the sparkling Atlantic Ocean whilst relaxing at the spectacular rim-flow pool, or from the spacious living area with its floor to ceiling sliding doors. 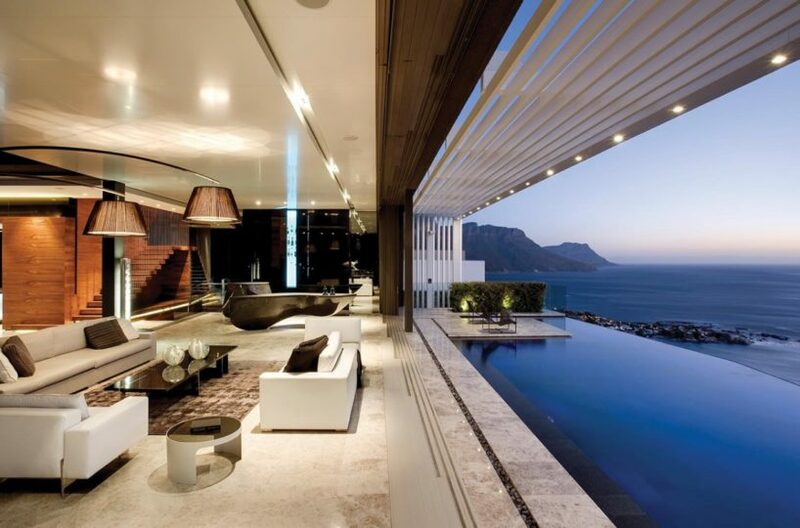 The villa has a house-keeper Monday-Friday.